We built a one-of-a-kind play kitchen that marries form, function, and safety. 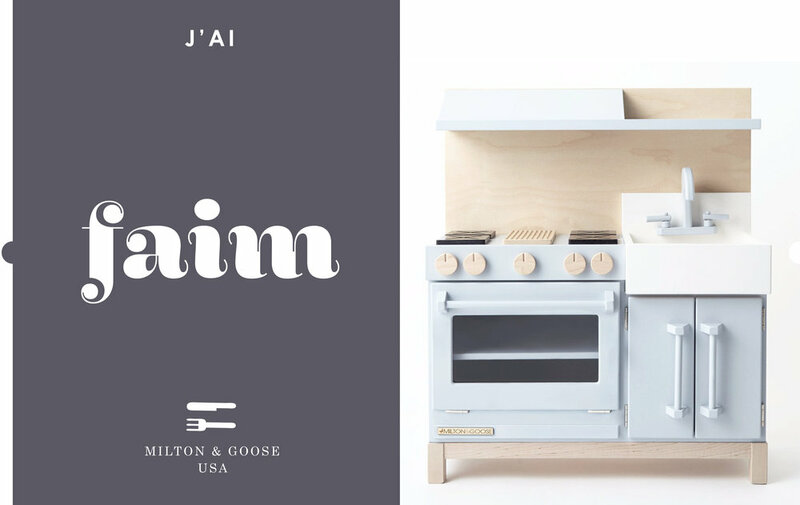 Our play kitchens take a cue from real designer kitchens, have been rigorously tested to meet or exceed applicable safety standards, and are handcrafted by Amish artisans right here in the USA from furniture-grade, eco-friendly woods and nontoxic finishes. No batteries, no plastic, no particle board, and no MDF. Our play kitchens are built to last, from day to day, sibling to sibling, and generation to generation.